Home > Renovation Tips & Tricks	> Are Wool Carpets for Me? Are Wool Carpets for Me? Should I consider buying wool carpets? Wool carpets are wonderful! Wool carpets have made my life miserable! This is actually one of those situations where both of these statements can be 100% true. My hope is to help you determine which one of these groups you belong too before you go through the expense of investing in wool carpets. I have been cleaning carpets in Boulder Colorado for over 17 years and I have cleaned some wonderful and not so wonderful wool carpets. Wool is soft and it feels great to walk, crawl, or lay on. It feels like walking on soft hair. Wow! It is soft hair! 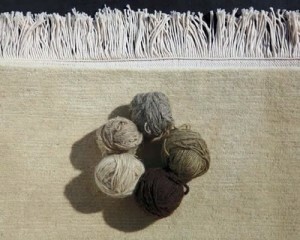 The wool fiber consist of three main parts. The epidermis (cuticle) consisting of protective, overlapping scales on the fibers outer surface. The cortex, which composes most of the wools fiber and the center of the wool fiber is called the medulla. One of the facts that makes wool kinda scary is that it is a protein. Why could this be bad? Wool proteins can chemically bond with other proteins and can permanently attach itself to the wool fiber. The real protein problem usually arises from our pets. Most of our pets throw up their food which is primarily a Protein base. These pet accidents can quickly turn our beloved soft haired carpet into a visual tapestry of pet throw up, urine stains and other digestive processes that I don’t like to think about. Often, these stains will permanently affix themselves and become part of the wool fiber. Wool is considered the finest carpet fiber in the world and if I didn’t have pets I would seriously consider the expense. The advantages of wool carpet include its’ feel (soft), holds color very well, wears well, soil resistant, cleans well and it is naturally non flammable. The negative traits of wool fiber include that it is very sensitive to alkalinity (high PH soaps), costs more than synthetic fibers, costs more to clean, not resistant to Protein stains, will dissolve in bleach and can be damaged by carpet beetles and moths. Consider the pluses and minuses as they pertain to your life and if you decide to purchase the wonderful wool carpet fiber, see our special carpet cleaning care guide for wool carpets at http://www.colorado-carpet-masters.com. You will also find free carpet repair guides, allergy guides, carpet buying guides, carpet spot guides, carpet cleaning consumer guides an much more.